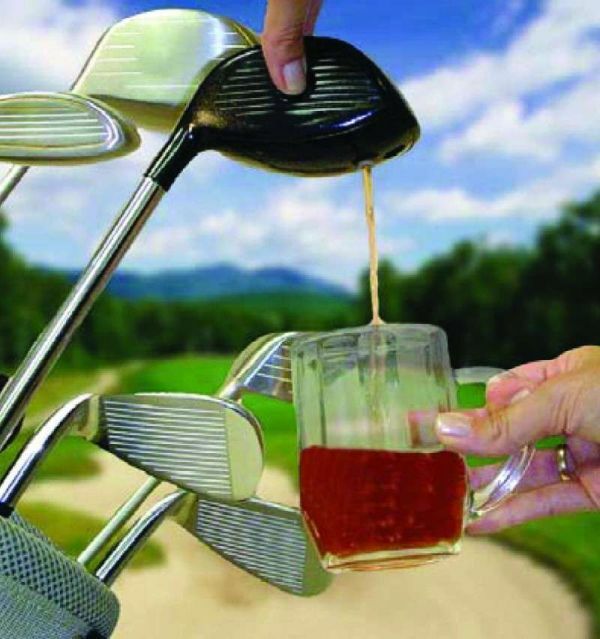 This Golf Club Drink Dispenser is for sure a treat to enthusiastic golfers. You don’t need to be all drained out and thirsty while playing the game under the sun! You can now have your drink in your very own favorite club. Of course, you won’t be able to play with it. 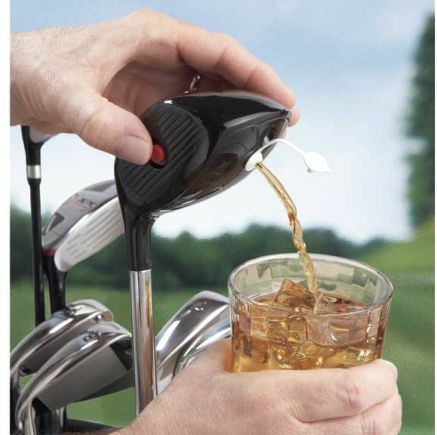 This golf club just works as a drink dispenser and not as a proper club. That might be a bit disappointing, yet I think it’s something better than nothing. Are you a golfer? Do you love the game more than your life? If you do, then this one is for sure a good buy. Why? Simply, because it will not only quench your thirst whenever you need, but it will also give you a delightful way of doing it. Imagine, instead of keeping a water bottle, you have this club. Your friends would literally be drooling over it, wouldn’t they? It is always wonderful to have such accessories that go along with the theme of the game. Although I agree to some it might be hectic carrying it around, for most of the golfers, it would be a pleasure. Moreover, you can even use it at home to signify people that you are a pro golfer, even if you are not. If I were a golfer, I would have bought this thing immediately. For such things, you don’t really need to think over and over again, unless you are short of cash. Check out some more sports accessories here: Adidas and Star Wars Jacket and DV20 Extreme Sports Camera.